Join us for a wine tasting led by our friends and wine experts from Holeman and Finch Bottle Shop! The theme of May's wine club is rosé. Tickets are $40, excluding tax & gratuity. Guests will enjoy a tasting of select wines with perfectly paired small bites. All wines enjoyed during the tasting are available for purchase from Holeman and Finch Bottle Shop at a special discounted price for wine club members. Join us at the bar every Sunday after 5pm for a special themed menu featuring classic tiki cocktails like the Singapore Sling, Mai Tai & Piña Colada as well as tiki food favs like loco moco. Check out the full menu here. Walk ins welcome and encouraged. Every Saturday and Sunday from 3-5pm we'll be offering a Hamm's and a burger for $10, select pichets of wine for $10, a plank of charcuterie for $10, or a plate of ham and an old fashioned for $12. Pick just one or enjoy them all - no matter what you decide, we guarantee your weekend just got a little more delicious. The classics and then some. We take care to select the freshest local & seasonal ingredients from farmers and purveyors we trust. We prepare the best possible food served in the most honest way. Simple. Nothing too fancy, unless that’s what you fancy. 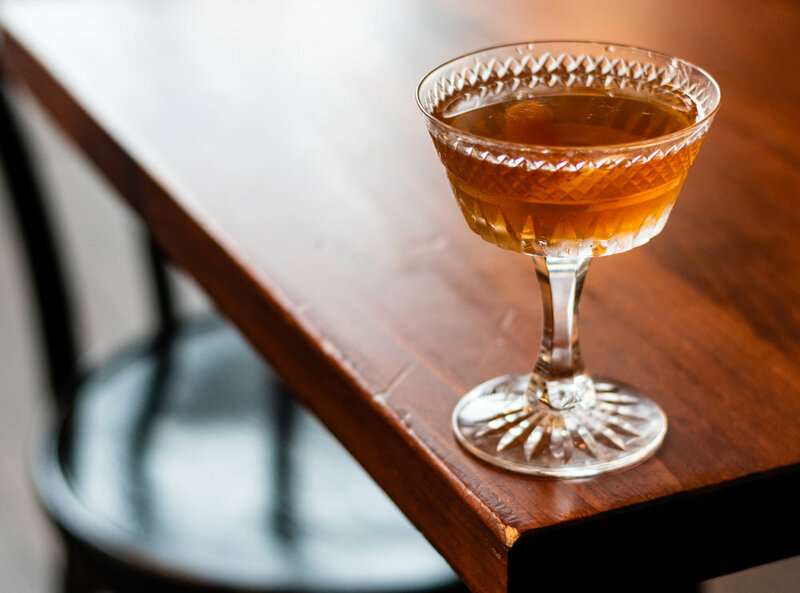 We focus on good drinks that create good conversation, whether that’s a pichet of wine or a local craft beer, a complicated cocktail or a scotch neat. Welcome. Our pub is designed to have an approachable, unpretentious vibe. Date night, drink night, family dinner, weekend lunch or mid-afternoon snack. Come as you are and allow us to take care of you. Chef Linton Hopkins is an internationally acclaimed chef-owner and Atlanta native. Known for celebrating local produce and community-driven cuisine, Chef Hopkins delivers radical and meaningful experiences inside and outside of his remarkable selection of dining destinations, which include Restaurant Eugene, Holeman & Finch Public House, Hop's Chicken, H&F Burger, and the newly opened C. Ellet's. Hopkins was named the James Beard Foundation's Best Chef Southeast and champion of Iron Chef: Atlanta. He now focuses on running his restaurant group, Resurgens Hospitality Group, alongside his wife, Gina Hopkins, who is also co-founder & co-CEO. We take reservations. Walk ins are welcome. For parties of 6 or more, please call (404)-948-1175. Our celebrated double cheeseburger started as a late-night special for service industry professionals and quickly became part of Atlanta’s culinary dialogue. In the beginning, we served 24 burgers at 10pm. Now, we serve 24-ish burgers at the start of each service, lunch and dinner. When we’re out, we’re out. If you want burger time all the time, we have an entire location where we serve them all day, every day. Find out more here. Sign up with your email address to receive the latest news, upcoming events, and other fun neighborhood nuggets.